Alamo Police Chief Arturo Espinosa will retire after nearly 40 years of working in law enforcement. Espinosa, a 61-year-old Alamo native, submitted a letter to the city council last week announcing his last day will be Jan. 31. 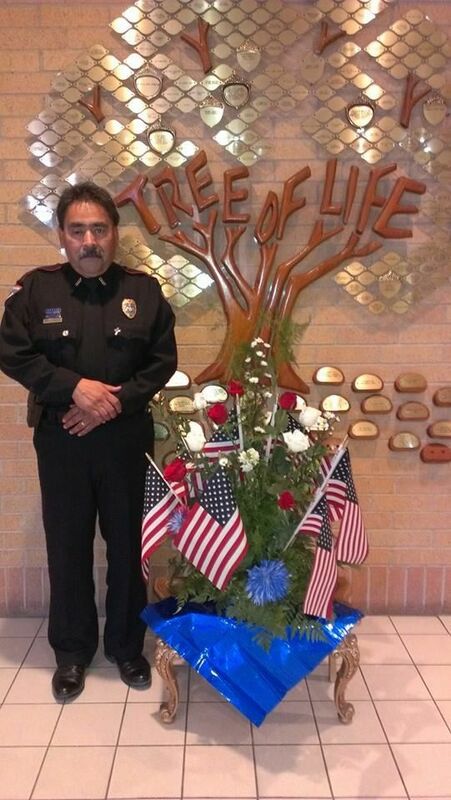 He began his career as a communications officer with the Alamo Police Department after graduating high school. He has been the department’s chief for 21 years. “It’s been a very colorful career, and I’ve enjoyed it,” Espinosa said. Espinosa left Alamo in 1978 to work for the San Juan Police Department then returned in 1989. He worked as a sergeant and lieutenant before becoming police chief. In his letter, Espinosa thanked Alamo Police Department staff for their “loyalty and dedication” throughout the years. He also expressed gratitude for the support of both the current and former mayor and commissioners. The city will soon begin the common process of advertising the police chief job, according to Alamo City Manager Luciano Ozuna Jr. The city commission must then approve the appointment of a candidate. Espinosa said he’s honored to pass his leadership on to the next generation. He will spend time with family and continue volunteering with Christian and civic organizations after retirement. “I plan to just relax a while and see what the future holds,” Espinosa said.